TIMMY TDAT & SUDI BOY - ZILE MBILI. Get This Super Duper Track From Timmy Tdat X Sudi Boy On Their New Audio Sound Track Entitled "ZILE MBILI". Get This Mp3 Download With YIKA BOY MEDIA & Enjoy Your Day.
" 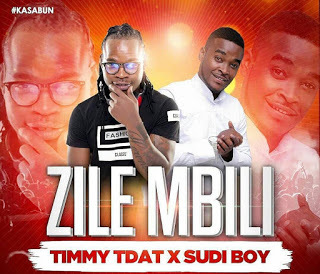 Timmy Tdat & Sudi Boy - ZILE MBILI AUDIO DOWNLOAD "